Kausar Mohammed is a Bengali/Pakistani-American actress born in San Jose, California with a young start in theatre and comedy. Kausar plays series lead in Paul Feig's dramedy, East of La Brea, a show about two Muslim-American twenty somethings navigating their changing LA landscape. 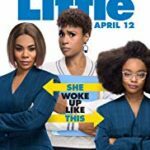 She has also has worked alongside Taraji P. Henson on the highly anticipated film What Men Want (Paramount), Issa Rae on Little (Universal), and has additional credits on shows such as Silicon Valley (HBO), Black Lightning (CW), and Nobodies (TV Land). She has been a part of various award-winning digital projects, such as "Smyle" and "Namaste" featured on Huffington Post, NBC, and Al-Jazeera. She trains and performs improv/sketch at UCB/Groundlings and is on an all South-Asian sketch comedy team, The Get Brown, that performs regularly at UCB theatre.